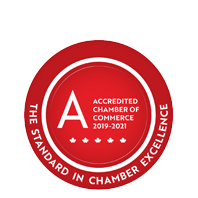 Green Mail - February 5, 2019 - Business Directory - St. Thomas & District Chamber of Commerce - ON, ON ? There's so much happening at the Chamber right now! Tickets are on sale for our State of the Municipalities Luncheon later this month on February 28. Tickets are also on sale for our Impact Awards, featuring keynote speaker from CBC's The National, Peter Mansbridge. Who's winning the awards? Send us your nominations!